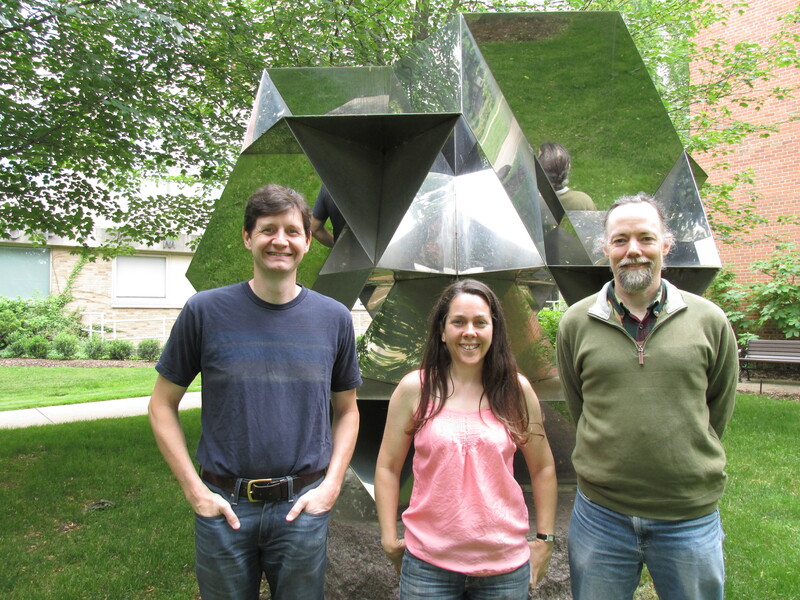 The Department of Mathematics, Applied Mathematics, and Statistics is excited to announce the promotion of three of our very own faculty members to full Professor. Congratulations to Dr. Elizabeth Meckes, Dr. Mark Meckes, and Dr. Peter Thomas. We appreciate your hard work and dedication to the department and CWRU community. Dr. Elizabeth Meckes received her Bachelor of Science and Master of Science in Mathematics from Case Western Reserve University. She then went on to receive her Ph.D from the Department of Mathematics at Stanford University. Dr. Meckes joined the department’s faculty in 2007. Her research interests are in quantitative limit theorems in probability stein’s method, high-dimensional phenomena in probability, geometry and statistics. Dr. Mark Meckes received both his Bachelor of Science and Ph.D in Mathematics from CWRU. He also joined CWRU’s faculty in 2007, along with his wife, Dr. Elizabeth Meckes. Research interests include geometry in high dimensions, random matrix theory, and geometric probability. Dr. Peter Thomas received his Bachelor of Arts in Physics and Philosophy from Yale University, the Master of Science in mathematics, Master of Arts in Conceptual Foundations of Science, and Ph.D in Mathematics from The University of Chicago. Dr. Thomas has been with the department since 2006, although holding several secondary appointments in Biology, Cognitive Science, and Electrical Engineering and Computer Science (EECS). His research interests include mathematical neuroscience, computational cell biology, and the application of information theory to theoretical biology. Be sure to check out each individual faculty member’s web page for an extensive overview of their academic careers.